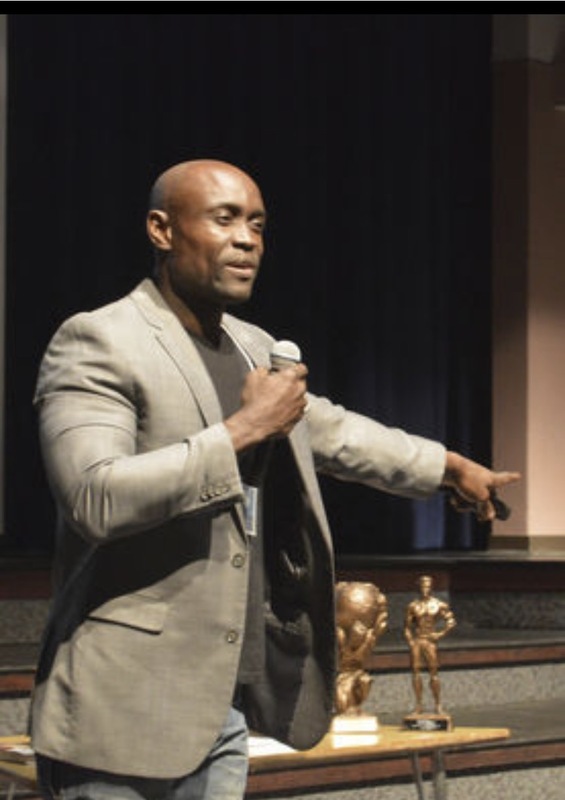 MICHIGAN CITY — Writer, bodybuilder and model Sunny Akhigbe speaks to students at Michigan City High School during an event to help inspire and motivate students to be their best selves. Akhigbe was born in Nigeria and endured many struggles until he decided to make a change and believe in himself and his dreams. He is the writer of “A Boy and his Dream” and is the founder and president of A Boy and His Dream Foundation.